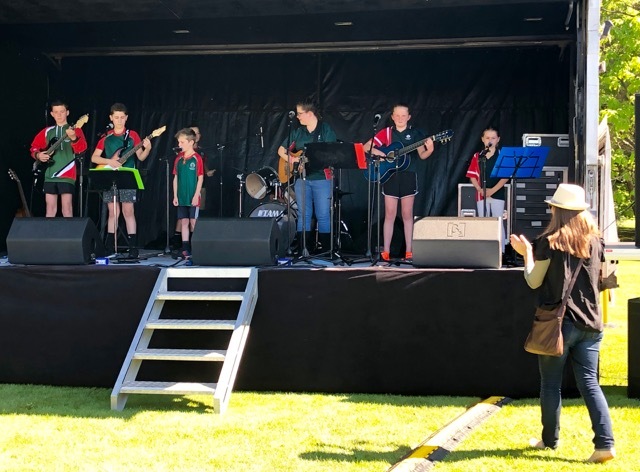 Congratulations to our school band who entertained a large crowd at the Garden Marlborough Fete. The group played as a whole, individually and in small groups. We all enjoyed watching the many talents of the group as they performed. A huge thanks must go to Anna M who has listened to the children’s dreams of playing to an audience and then selecting the music and taking the time to make it happen. We are all very proud of you at Rapaura School. 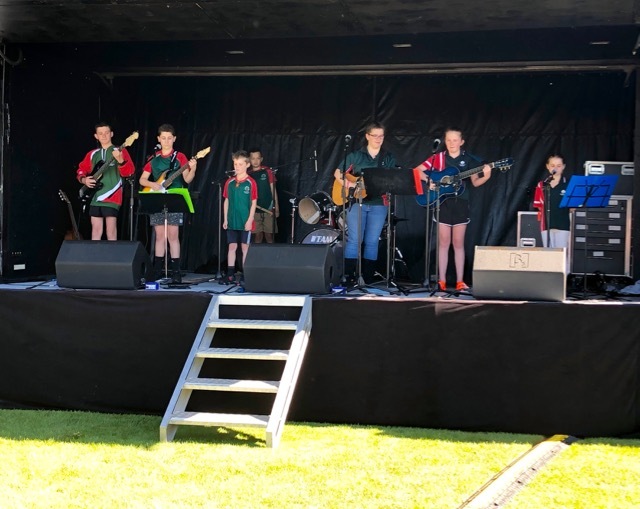 Our school band, students from Y5 to Y8. Anna always there to support.